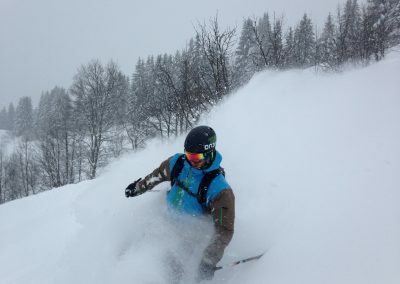 One of our favourite ski treeing areas, Combloux is known as a family friendly ski resort only thirty minutes drive from Chamonix. 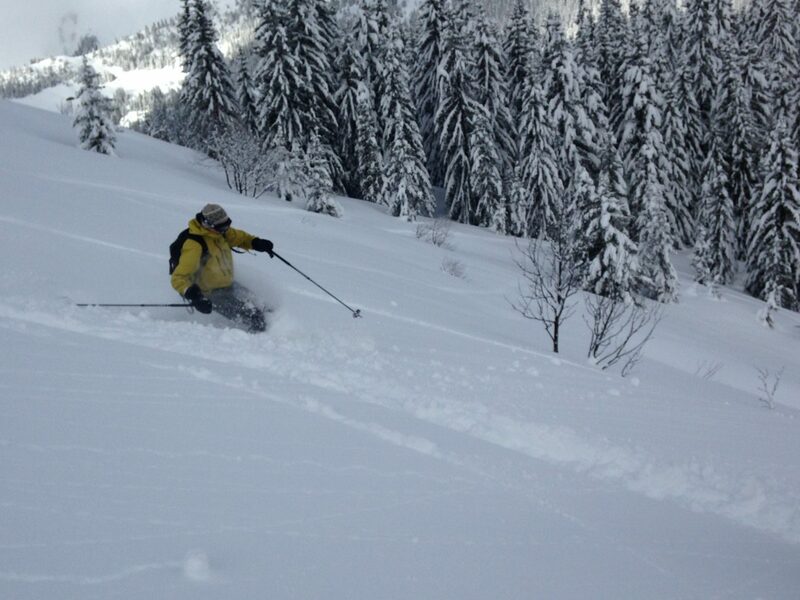 With lots of blue and red runs to choose from it's a great venue for the beginner to intermediate piste skier. 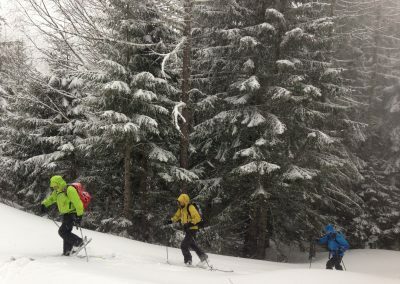 However, if you duck into the trees there are numerous off piste runs to ski through the (mostly) widely spaced forests, with fresh snow to be found many days after the last snow fall. 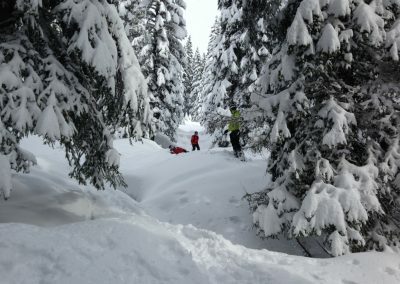 The slope angles generally aren't too steep meaning it's a good choice when the avalanche conditions are difficult elsewhere. There are numerous short ski tours and hikes for those with energy where you can access whole valleys away from the main ski area. 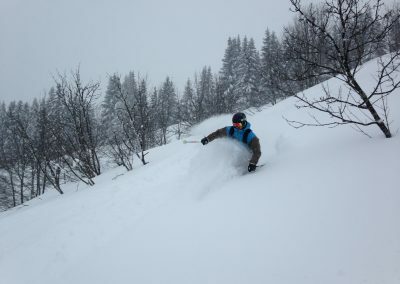 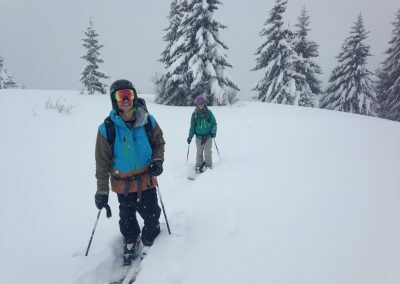 Although Combloux doesn't have the super classic steep off piste skiing that Chamonix offers, it's a great choice in fresh snow or bad weather when the trees give you good visibility. 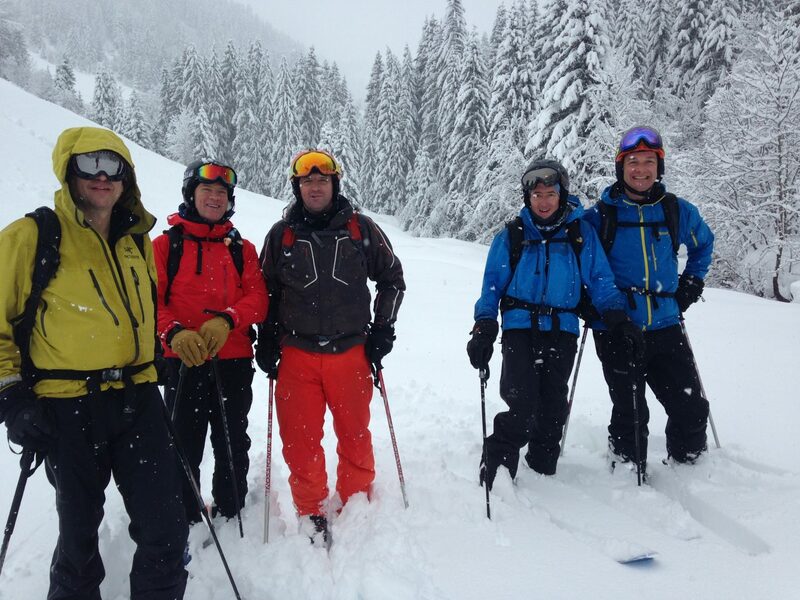 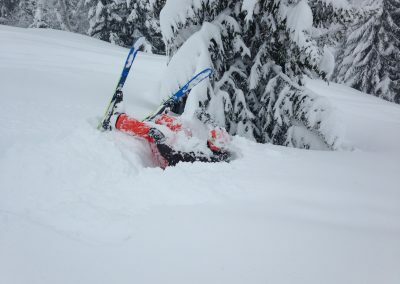 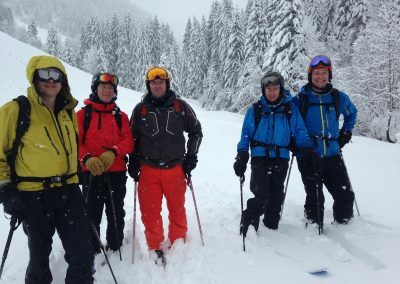 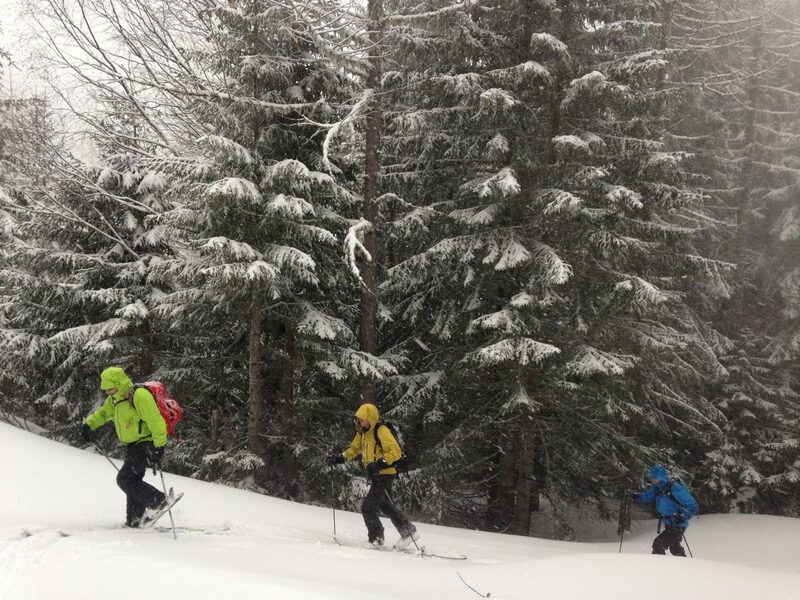 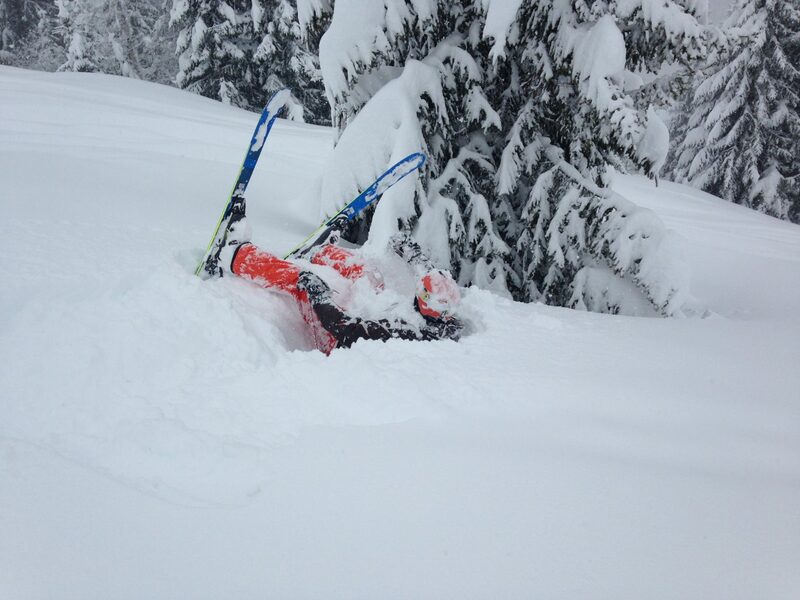 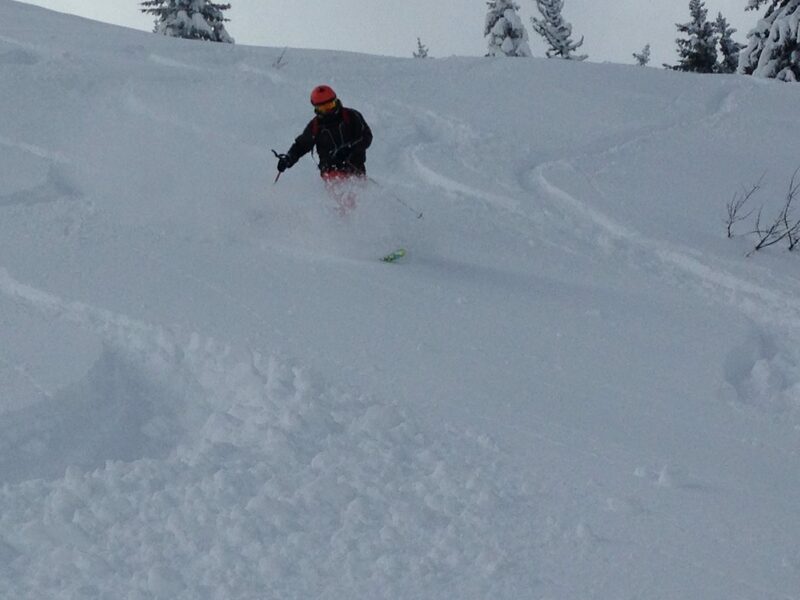 Obviously, to get the most out of Combloux, you should ski with one of our experienced mountain guides! Combloux, thirty minutes drive from Chamonix. 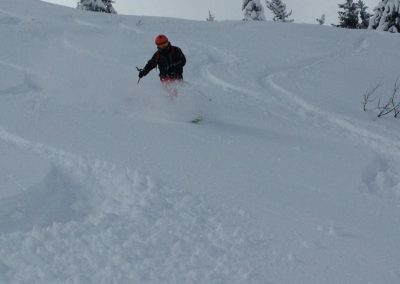 Nearby resorts in the area include Megeve and Saint Gervais.